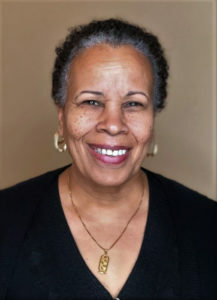 Paula Cole Jones is the founder of ADORE (A Dialogue on Race & Ethnicity), a former president of DRUUMM (Diverse and Revolutionary Unitarian Universalist Multicultural Ministries) and an independent consultant specializing in multicultural competencies and institutional change. Paula is also a founding member of the UUMFE People of Color Caucus. Paula will build upon her chapter about the historical formation of the environmental justice movement in the UUA Common Read book, Justice on Earth: People of Faith Working at the Intersections of Race, Class, & Environment. The Environmental Justice Practitioners Network (EJPN) Webinar Series is a program offered by the UUA Green Sanctuary Program and Unitarian Universalist Ministry for Earth. This is an administrative account for UU Ministry for Earth (UUMFE).